What Size Furnace Does My Home Need? Autumn is fully underway and most homes have had the heat turned on at least once. Checklists are being printed out and homeowners are starting to winterize their homes as the weather cools. If you haven’t already, now is a good time to make sure your furnace is working—you don’t want to get caught out in the cold! For a detailed overview on how a furnace heats your home, check out this page – How Does a Furnace Work? Whether you’re building a home or replacing an outdated furnace, it’s important to find one that provides enough heat for your home. Of course, the furnace size depends on the size—or square footage—of your home, as well as the quality of insulation. Working with an experienced HVAC contractor is one way to make sure your home gets the right size furnace installed. If you’re interested in doing it yourself, you can calculate how much energy your home needs to stay warm and then buy the appropriate furnace for your needs. 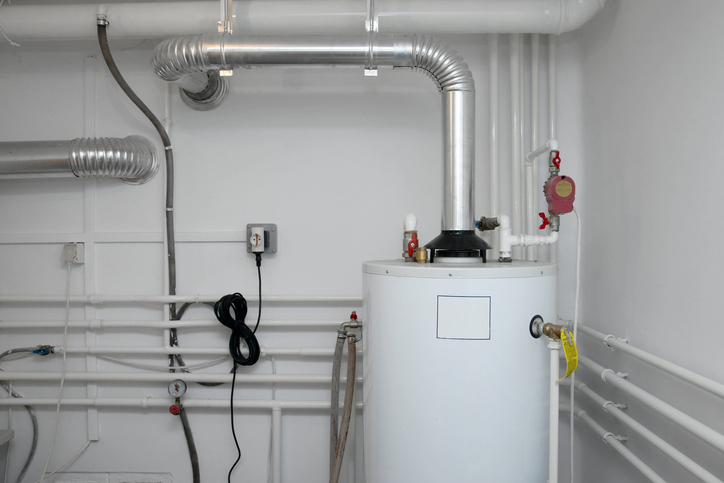 Will I Need a Furnace Contractor? When it comes to determining what size furnace your home needs, you first need to find out how much energy it will take to warm your home. That’s where BTU comes in. BTU stands for British Thermal Unit, and is a measurement that determines the thermal energy output of various devices. To put it more scientifically, BTU measures the energy it takes to warm one pound of water by one degree Fahrenheit. For this post, we’ll apply BTUs to home furnaces, but just be aware that they can also be used when determining the energy it will take to cool your home. The age of your home. Typically, older homes are less energy efficient and may require more BTUs to stay warm. Quality of insulation. Similarly, if your home has poor insulation you may need a larger furnace. The quality and number of windows in your home. If you have old windows, the window frames may be drafty and allow heat to escape. Newer windows will have better insulation. Windows facing the south will also passively heat your home, as they allow for sunlight to enter the home and retain the warmth. Size of your home. The larger your home, the more energy it will require to heat. Location of your home. The energy your furnace requires definitely depends on where you live in the United States. A home in Minnesota will depend on their furnace much more than a home in Louisiana. If you live in Minnesota, you’ll want a furnace with a higher BTU output, possibly double what the average Louisians resident installs in their home. Energy efficiency rating of the furnace. Newer furnaces will have a tag that shows their energy efficiency ranking. It’s best to choose a furnace with the highest ranking within your price point. Even if your home isn’t especially energy efficient, having an efficient furnace will keep your bills as low as possible while you stay warm. 80 X 1,000 square feet = 80,000 BTUs. A trusted HVAC contractor will know about the latest technology and energy efficient furnaces on the market. They can also determine if your furnace just needs to be repaired or replaced completely. Working with an HVAC contractor will also help to guarantee you get the best furnace for you and your family’s needs. In addition to making sure it is properly installed, a contractor will present a few furnace options and explain the pros and cons of each type. 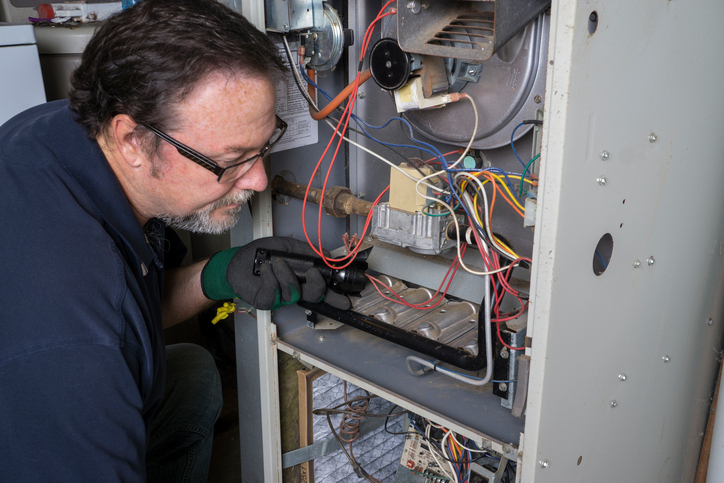 If you’ve never replaced a furnace before, I suggest consulting with an HVAC contractor before you undertake a furnace replacement project, mostly for safety reasons. They can help show you what to do and then suggest basic maintenance tips for prolonging your furnace’s life.